Amnesty International has initiated an urgent action in the case of Onur Kılıç, who was detained on 13 February for “insulting the President” during a protest. He could face up to four years in prison under these charges. 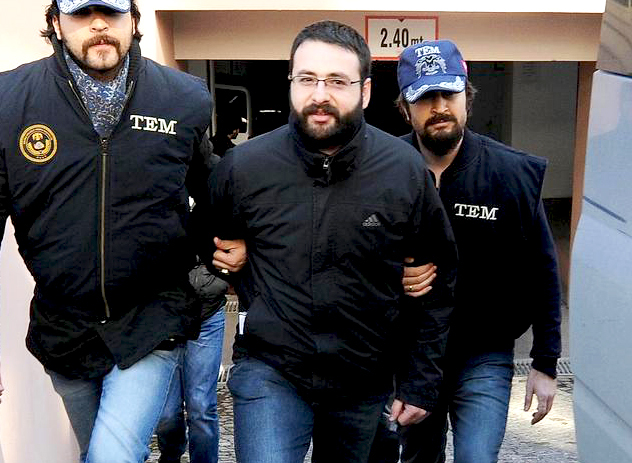 Kılıç … was arrested on 12 February for allegedly chanting ‘thief murderer Erdoğan’ during [a] protest and was remanded in pre-trial detention on 13 February. He faces prosecution under Article 299 of the Turkish Penal Code that criminalizes “insulting the President” with a punishment of up to four years imprisonment. The Article requires the Minister of Justice to provide permission for the prosecution to proceed. Onur Kılıç’s lawyer told Amnesty International that he will lodge an appeal against his detention on 17 February. Amnesty International believes that prosecutions under Article 299 violate the right to freedom of expression and notes with concern that at least two other protestors have been arrested under the same charge during subsequent protests against Kılıç’s arrest. Amnesty is calling on its members to write to the Turkish authorities calling for the immediate and unconditional release of Onur Kılıç and an end to all prosecutions and detentions under Article 299. Click here to find out how you can take action. 1. News reports indicate that a fourth person was arrested on the same charges today. We have received word that the court has rejected the application of Onur Kilic’s lawyer application objecting to Kilic’s continued detention. This entry was posted in Amnesty International, Freedom of Expression and tagged Amnesty International, Article 299, Erdogan, Freedom of Expression, Onur Kılıç, Urgent Action. Bookmark the permalink.